Botched lethal injection of Joseph Wood takes two hours. 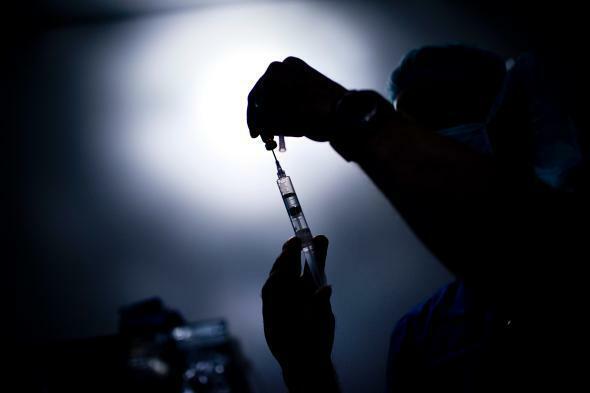 The debate over lethal injections continues. After a high-profile legal battle over the drugs used in the lethal injection cocktail, the execution of convicted murder, Joseph Wood, finally went ahead in Arizona on Wednesday. The execution was carried out, but how it took place will surely add fuel to the growing controversy over lethal injections in America. According to the AP, Wood “was put to death in an apparently flawed procedure that took too long to conclude. An hour into the execution, his lawyers [filed] an emergency [Supreme Court] appeal, saying he’d been ‘gasping’ and ‘snorting’ for an hour… Word that Justice Anthony Kennedy denied the appeal came about a half hour after Wood’s death.” The AP reporter on the scene witnessed Wood gasp more than 600 times before he died from a procedure that experts say should have taken 10 minutes. The execution of Joseph Wood — which Arizona carried out with a lethal-injection it had never before tried — is certain to fan the debate over how U.S. states carry out the death penalty. Midway through the execution, defense attorneys asked a judge to stop the execution of Joseph Wood and order prison officials to try to resuscitate him. But before the court acted, he was pronounced dead. “The execution commenced at 1:52 p.m. at the Arizona State Prison Complex (ASPC) - Florence. He was pronounced dead at 3:49 p.m,” a statement Arizona Attorney General Tom Horne said. The statement did not say what problems the execution team had encountered, but Wood’s lawyers painted a macabre picture. Wood was given the death penalty for the double murder of his girlfriend and her father in 1989. On Tuesday a federal appeals court sided with Wood’s lawyers who in seeking to delay the execution, the Associated Press reports, “used a new legal tactic in which defense attorneys claim their clients’ First Amendment rights are being violated by the government’s refusal to reveal details about lethal injection drugs.” The legal team was seeking information on the drug combination used by the state of Arizona. The Supreme Court, however, overruled the stay, allowing the execution to be carried out. Wood’s apparently mishandled execution comes on the heels of the gruesome botched Oklahoma execution of Clayton Lockett in April. *Correction, July 23, 2014: This post originally misstated Clayton Lockett was executed in Ohio. The execution took place in Oklahoma.